Petroleum Oil starts breaking down the moment you start your engine. Heat from your vehicles engine causes molecules that are critical for lubrication to break down. I compare the molecules in petroleum oil to egg shells. They break down easily. Now you know why oil companies recommend 3-5,000 mile oil changes. Total: $90 – $99 (ballpark estimate) tax & shipping included. Change your oil and filter today…and in 12 months…change the oil and filter again! What could be more convenient and beneficial for your vehicle and the environment? I’ve driven my 99 Chevy van over 1.3 million miles changing the oil and filter every 25,000 miles. That would take you around the world 48 times. I’ve done the homework for you. No need for you to speculate whether or not the 25,000 mile oil change is for real. Quality Oil … Always Cost Less! The only issue you’re going to have to deal with is…the 3000-5000 mile oil change that is deeply branded into your mind. So…change your way of thinking. It’s been said…a closed mind is a great thing to lose! 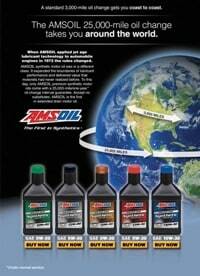 Amsoils synthetic oil can take the heat. I compare the molecules in Amsoil synthetic oil to a steel ball bearing. The molecules do not break down. That’s the reason you can drive 25,000 miles or one year without changing your oil. Heat from your vehicles engine…causes the molecules that are critical for lubrication…to break down. I compare the molecules in petroleum oil to egg shells…they break down easily…causing sludge and varnish to build-up in your engine and transmission. Now you know the reason conventional motor oil companies…recommend 3000 – 5000 mile drain intervals. At The End Of Seven Years…Your Engine And Transmission Will Be Like New! At the end of seven years…if you decide to trade your vehicle …you’ll be able to hand the keys to the dealer or whoever is getting your car…and with confidence you can say…this car has had the best care money could buy. You’ll know in your heart…the engine and transmission had the very best oil lubricating it…and the new owner can have complete confidence…that your vehicle will power them down the highway for years to come. 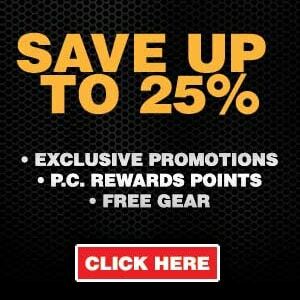 Amsoil Synthetic Oil Will Give Your Vehicles Engine And Drive Train…Better Performance…Longer Life And Dependability…and For You…A Fatter Wallet And Peace Of Mind! PS…Most Japanese models take the Ea15K oil filter…good for 15,000 miles. If you drive over 15,000 miles a year…change the oil filter…no need to change the oil until 25,000 miles or one year. European cars … oil and filter need to be changed at the recommended mileage by the owners manual.